Long ago, a seminary theologian, trying to help a very unscholarly Black preacher make some progress in the deep thought, gave a one volume commentary to the preacher. Some time later, the seminary PhD asked the Black preacher what he thought of the commentary. The Black preacher said, "De Bible sho do shed some light on dat book." We won't have Heaven crammed. The modern obsession with Calvinism is not a return to orthodoxy, it is a flight from the Word of God. 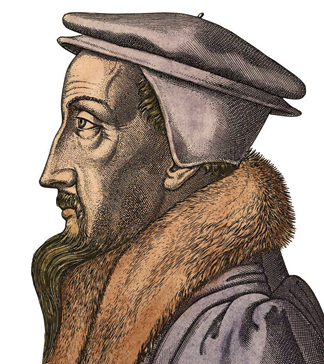 Calvinism: Your Final Verdict-- What Will It Be? Proverbs 14:16 (KJV) A wise man feareth, and departeth from evil: but the fool rageth, and is confident. Proverbs 14:8 (KJV) The wisdom of the prudent is to understand his way: but the folly of fools is deceit. Proverbs 26:11 (KJV) As a dog returneth to his vomit, so a fool returneth to his folly. 1 Corinthians 3:18 (KJV) Let no man deceive himself. If any man among you seemeth to be wise in this world, let him become a fool, that he may be wise. Dear Brother Van Nattan, I want to thank you so much for your Calvinism page; the article you uploaded by Brother Cloud, and the videos also. All the information has been such a blessing to me. I've been a Christian for almost 30 years, and spent 4 or 5 of those in the wilderness of Calvinism. It's discouraging to see Calvinism experience a resurgance. Their love affair with all things Reformation has led them to publish a great deal for the homeschool market, especially through Veritas Press, Covenant, Logos, and now especially from the folks at Vision Forum. There is much deception out there. Thank you for making the truth available. God bless you. Editor of Blessed Quietness Journal, go to the Send Mail page to send email.